Fear is a natural human quality, but having courage to overcome fear is special. Junior Phillis Peusch, a foreign exchange student from Germany, dove into the discomfort of adapting to a new life. Peusch’s journey began in Germany, where her teacher introduced the foreign exchange program. 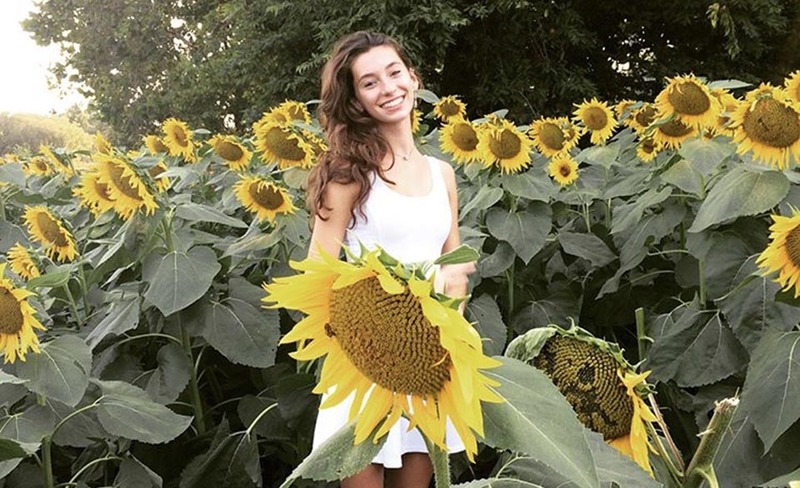 She and her two best friends found the idea interesting, and after extensive research, Peusch now lives in Kansas with sophomore Andrew Dulin’s family, and her two friends live in West Virginia and Argentina. Peusch said her first impression of America was “big!” In Germany, she could ride her bike everywhere, but in Kansas, she has to ride in the car. “It’s really different,” Peusch said. The academics in Kansas also differ from those in Germany. Peusch said that, in Germany, teachers do not utilize multiple choice questions. “I love that kind of test,” Peusch said. Also, there is great school spirit in America. Peusch herself joined a sport this fall, playing volleyball for the Mustangs. Dulin said he was initially surprised at the idea of having a foreign exchange student in the house. His brother, 2017 graduate Ethan Dulin, had just moved out, and his parents suggested hosting a student from Germany. Once Peusch arrived, Andrew Dulin said he was happy to welcome her into his home. Andrew Dulin and his family have been helping Peusch to adapt to the Kansas area. “We took her to the Flint Hills, like, the outlook on it, so she could see Kansas,” Andrew Dulin said, adding that they also took her to Lawrence, Kan., to see Ethan Dulin’s apartment. Peusch said that her biggest struggle at Rock Creek thus far was the first day. She came to America with confidence in her speaking abilities, only to be awakened with struggles. “I’m really bad at English, but I hope I improve,” Peusch said. Peusch began learning English in the fifth grade. Although she struggles, she continues to push herself in order to achieve her goals. “I want to be a detective or a manager — something like that,” Peusch said. Peusch is a goal-driven young lady. This quality is seen in the way she perseveres through learning a new language, joining the volleyball team and experiencing life in a new country. She began by timidly meeting her host family at the airport and is now thriving with confidence, with many friends by her side.